This program is a step into the fascinating world of Kazakhstan through the eyes of a curious foreigner Dennis Keen. Our intrepid adventurer discovers the dramatic countryside, the friendly people and rich culture of modern Kazakhstan. He constructs a yurt, herds sheep and even tries his hand as a market trader. 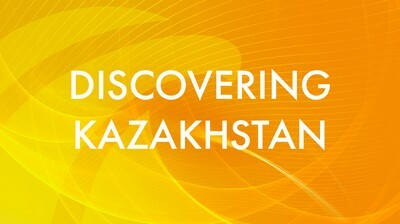 Watch Discovering Kazakhstan and discover real life in the heart of Central Asia.